“Super Lawyers” list of top attorneys in Rhode Island, 2011-2018. Ronald J. Resmini is one of Rhode Island’s Foremost Trial Attorneys handling cases of personal injury, accident and tort law, having concentrated in this area for more than 50 years. Mr. Resmini was sworn in before the Bar in June, 1969 when he was on leave from the United States Army Security Agency. Following 3 years of active duty, where he attained the rank of Captain, he began a clerkship with the Rhode Island Supreme Court under Justice William E. Powers. As a private practitioner, he became involved in the Indigent Defender Program, was a founder of IOLTA, and a founder of court-annexed arbitration. In addition, he was the Assistant Town Solicitor for the Town of Coventry, as well as a part-time Instructor at Roger Williams School of Law. A Pre-Law Summer Internship with the Neighborhood Legal Service Program provided an added opportunity to be exposed to the needs of the individual. With expertise developed from the clerkship at the RI Supreme Court, the Law Firm of Ronald J. Resmini, Esq., became instrumental in clarifying numerous RI Laws and statutes, as well as successful appeal to the First Circuit Court of Appeals reviewing Habeas Corpus proceedings. Mr. Resmini argued numerous cases before the Rhode Island Court clarifying uninsured motorist law, Public Duty Doctrine, jurisdiction, negligence, insurance coverage, interspousal immunity, physical contact elements for phantom vehicles, and many other clarifications of the law. After producing more than 20 legal handbooks, Mr. Resmini was requested by Butterworth Publishing Company to Author a two-volume treatise entitled, Tort Law and Personal Injury Practice, which is part of the RI Practice Series (Butterworth 1990, with Annual Supplements). Later, Mr. Resmini published a two-volume series entitled, RI Actions and Remedies; a two-volume work on Civil Procedure after the major revision of the Superior Court Rules of Civil Procedure, entitled RI Civil Practice and Procedure (Michie Law Publishers, 1996, with Annual Supplement). Also, Mr. Resmini has published many articles in the RI Bar Journal and Law Review articles in Suffolk University Law Review, including the Law of Uninsured Motorist Insurance, the Law of Products Liability in Rhode Island, and the Law of Domestic Relations in Rhode Island. For the past 25 years, Mr. Resmini’s firm has enjoyed the Ranking of AV, the highest ranking available through Martindale- Hubbell. 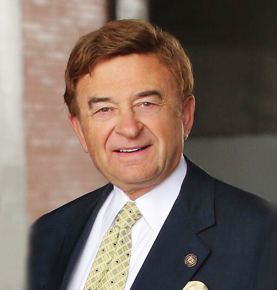 Ronald J. Resmini was a Board Examiner for the National Board of Trial Advocacy in 1991. Furthermore, Mr. Resmini has been awarded the honor of Massachusetts Senior Attorney of the Year for the year 2010 when Massachusetts Lawyers Weekly and the Massachusetts Bar Association celebrated Excellence in the Law in May, 2010. This is a testament to Mr. Resmini’s hard-work, dedication, and determination seeking justice for his clients and improving the legal profession, not only for his clients, but all attorneys and lawyers alike. Most Recently, Mr. Resmini has been selected to the prestigious “Super Lawyers” list of top attorneys in Rhode Island for year(s) 2011, 2012, 2013, 2014, 2015, 2016, 2017, and 2018. Super Lawyers selects attorneys using a rigorous, multiphase rating process. Peer nominations and evaluations are combined with third party research. Each candidate is evaluated on 12 indicators of peer recognition and professional achievement. Selections are made on an annual, state-by-state basis. In addition, Mr. Resmini has been selected to the National Academy of Personal Injury Attorneys.The National Academy of Personal Injury Attorneys is an organization devoted to recognizing the top Personal Injury attorneys in the nation. With over a million attorneys in the United States, choosing the best lawyer is difficult. However, through a stringent selection process, the NAOPIA awards the best Personal Injury attorneys in each state with our most prestigious honor of being named “TOP 10”. The very few attorneys (less than 1%) that are good enough to make this list have demonstrated an extraordinary amount of knowledge, skill, experience, expertise and success in their practice of Personal Injury. This dedication continues with Mr. Ronald J. Resmini at the helm with the support of his three sons, R. Jason Resmini, Esq., Adam J. Resmini, Esq., and Andrew Resmini, Esq.